Lawmakers and activists are leading an effort to open up expungement and sealing laws for misdemeanor convictions in the Keystone State. 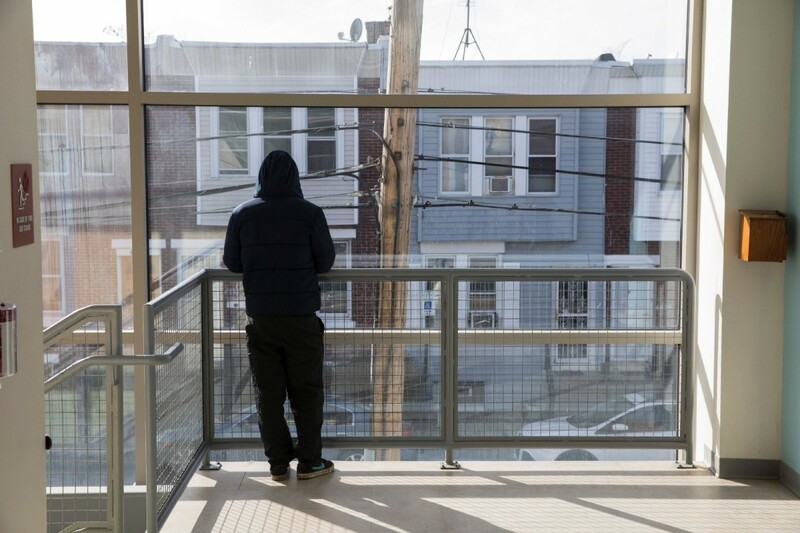 A man stands at a window looking out over North Philadelphia. The line of people — mostly men and mostly African American — leads to a tired-looking gymnasium. Subway-tiled walls are faded and cracked, while the backboards of the basketball hoops are smudged from years of layups. But the room is bright and there’s a low buzz of intense conversation coming from people gathered around nine folding tables stationed along the room’s perimeter. Clad in a blue suit coat and yellow tie, Philadelphia Bar Association chancellor Gaetan Alfano strides out of the gymnasium and calls a name into the hallway. A man straightens up and follows Alfano into the gymnasium and sits down at a table across from a young lawyer typing into a laptop computer. For the next 15 minutes or so, they’ll work together to either seal or expunge the man’s decade-old criminal record in hopes of giving him a better shot at finding a job, renting an apartment, securing a loan, earning a scholarship, or just making peace with his own legacy. This scene played out simultaneously in six rec centers across Philadelphia, all part of a free, city-wide expungement and sealing clinic hosted by the bar association’s Young Lawyers Division. Its timing was intentional: That day, a state law went into effect that made more Pennsylvanians eligible to have their criminal records sealed. For the first time, the state will allow those who have met rehabilitation criteria for two classes of nonviolent misdemeanors — certain low-level crimes like drug possession or larceny — to seal their records. Unlike expungement, which removes an offense from a criminal record, a sealed record still exists and is accessible to law enforcement, but closed from the public. The law allows for sealing, not expungement, meaning the record still exists and is accessible to law enforcement, but is closed to the public. Now, just months after that legislation went into effect, the Pennsylvania state legislature is contemplating taking its sealing and expungement law even further. Across the country, state legislatures are making it easier to expunge and seal old criminal records. According to the Vera Institute of Justice, 31 states and the District of Columbia broadened their expungement and sealing laws between 2009 and 2014. The Pew Charitable Trust’s Stateline reported this summer that a rise of free legal clinics and websites also allows more people to take advantage of those laws. Criminal justice reformers see it as progress toward mitigating the lifelong collateral effects of arrests and convictions. But it’s not a panacea. Few of the new state expungement and sealing laws are terribly progressive. Hurdles remain, too, in ensuring that expunged or sealed records truly remain closed; employers and landlords often conduct background checks through private companies, which don’t reliably update their records to reflect an expungement or sealing Some question whether there’s a point to expungement. Not only is a criminal record as accessible as a media report in this internet age, but expungement is only a small reform to the massive criminal justice apparatus anyway. But for the 200-some men and women waiting for their appointments at the Vare Recreation Center — and the hundreds of others at rec centers across the city — it’s no question at all. John Doe’s criminal history begins the same way as so many others. He grew up in South Philadelphia in the ’80s, and things started to go south during his high school years. “I fell prey to a fast lifestyle,” he says. “I became part of the wrong crowd and just got off track, got derailed.” He started dealing drugs; by 1991, at 19 years old, he was racking up charges like possession, trafficking, and disorderly conduct. After a couple of years selling drugs in the neighborhood, Doe decided to turn things around. He went back to high school, started a family, and even lined up a job at Home Depot, the best career prospect he’d ever landed. His last conviction was in 1996, related to a trafficking charge from years prior. Nowadays, Doe works as a writer and film producer in Philadelphia, his arrests and convictions no longer keeping him from getting a job or renting an apartment anymore. But still, even 20 years later, that legal trouble still haunts Doe — a fact that’s brought him to the Vare Recreation Center on this November day. “Even though you recognize this is my past,” Doe says, “[there ’s] still a part of me that says, ‘That’s not the person that I am, and I don’t want that to be part of my legacy for my kids, for my grandkids.’” Doe has known for years that expungement exists and might even apply to parts of his own record, but he didn’t think that was possible without hiring an attorney. Before Pennsylvania’s new law went into effect in November, the state’s expungement and sealing laws were mostly limited to charges that didn’t result in a conviction. (With some exceptions, such as summary offenses or convictions for those who are 70 years of age or older and haven’t been arrested or prosecuted in 10 years.) “It was an insane system that basically applied to nobody and helped nobody,” says Pennsylvania State Senator Daylin Leach, a Democrat who represents two suburban Philadelphia counties. Hyperbole aside, being able to expunge arrests and charges that didn’t result in a conviction can certainly make a difference, as anyone who has been subject to a background check could attest. Having any record at all can cast suspicion on a person for life. Expungement removes charges completely, rendering them unknowable even to police. But Leach’s embellishment takes a shade of truth when you consider expungement as a tool for criminal justice reform. In the foyer of the Vare Recreation Center, Pennsylvania State Representative Jordan Harris mingles with a crowd of volunteer lawyers, journalists, and citizens. Harris is something of a superstar here: Not only are we sitting square in the center of his legislative district, he also wrote the new language of the state’s expungement and sealing laws. Prison reform has been one of Harris’ chief goals since he was elected to the state legislature in 2012. In part, it’s a matter of fiscal priorities. “When I look at the numbers of what we spend in Pennsylvania,” he says, “if we reduced it by a third, we could send tens of thousands of kids to college in Pennsylvania for free.” His support also stems from empathy. “The reality is, a lot of us have done things that, if we’d gotten caught, it may have given us a record,” he argues. “And we just didn’t get caught.” Those who didn’t fare so fortunate but still managed to turn their lives around deserve a second, third, or even fourth shot, he says. A scene from the expungement clinic at the Vare Recreation Center in Philadelphia, Pennsylvania. Members of the legislature were already working on expungement reform when Harris arrived in office in 2012, and he quickly joined them. Over two legislative terms, they examined expungement laws in other states like New Jersey, Delaware, and Ohio; consulted with law enforcement and the Pennsylvania District Attorneys Association; and looked for a compromise that could pass. Why, they wondered, should a 20-year-old arrest prevent someone from getting a job? Research shows that expungement benefits the states, too: A 2014 Stanford study revealed an increase in tax revenue, reduction in government assistance, and other financial benefits tied to expungement. 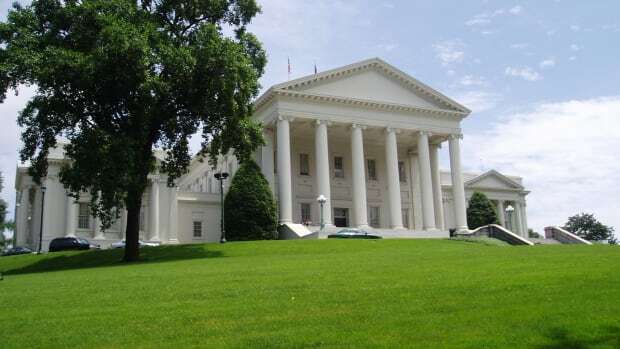 Legislators settled on an amendment to Senate Bill 166, sponsored by Republican Senator Stewart Greenleaf. Under the new law, a person convicted of a second-degree or third-degree misdemeanor — like drug possession, retail theft, and disorderly conduct — could petition the court to seal that record if they have served their sentence and remained free of arrest or prosecution for seven to 10 years. Felonies are not eligible; neither are more serious misdemeanors. 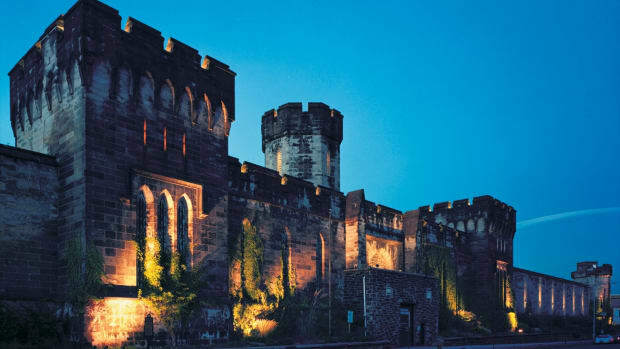 When Pennsylvania Governor Tom Wolf signed the bipartisan bill into law in February of 2016, he described it as “a commonsense, positive and unprecedented step.” Including misdemeanors makes expungement and sealing more relevant to more people — a necessary action, some argue, to make a dent in what one 2014 American University Washington College of Law report describes as a “misdemeanor crisis” in which the criminal justice system is overloaded with petty misdemeanor convictions that often carry lifelong consequences. But the Collateral Consequences Resource Center, a non-profit that promotes discussion of the hidden consequences of conviction, argues that Pennsylvania “still has a long way to go to catch up to states like Kentucky, Missouri, and New Jersey” where expungement is even more broadly accessible to people who have committed certain lower-level felonies or those with more recent misdemeanor convictions. Measuring progress is tricky, though, because expungement law’s various components differ from state to state, says Brian Murray, a fellow at the University of Pennsylvania Law School who has written about developments in state and federal expungement reform. States decide the scope of eligibility for expungement; they have their own mechanisms for carrying it out such as automatically or via petition; they offer different timelines for when one can apply for expungement; and it’s up to states to ensure that an expunged or sealed record truly is hidden. All those layers make expungement ripe for reform. “Expungement is so interesting because it’s one of the areas where political stars can align,” Murray says. It gives conservatives and liberals concerned about mass incarceration room to compromise. In Pennsylvania, lawmakers expanded eligibility to misdemeanors, but tempered it by creating a somewhat longer waiting period. They also established a $132 statewide fee to file an expungement petition, in addition to the fees charged in each jurisdiction. But some lawmakers are already looking to make another deal. Even though Pennsylvania’s new criminal records law—signed into law as Act V—had only just gone into effect that day, Harris was already thinking about the future as he milled about the rec center lobby. Later that week, he was slated to have a meeting in Harrisburg to find common ground on the Clean Slate Bill, which would push past some of the remaining barriers to the effectiveness of expungement. That bipartisan momentum has continued. Last week, two state senators announced plans to reintroduce the Clean Slate Bill this session as Harris prepares a companion bill in the House. “The Clean Slate Bill is going to take Act V to the next level,” Harris says. While the law that went into effect in November expanded eligibility to some misdemeanors, the Clean Slate Bill would make all three classes of misdemeanors — so long as they are nonviolent — eligible to be sealed after 10 years. Another key element of the bill is that these charges would be sealed automatically, sparing petitioners the sometimes-onerous legal and filing fees. Harris hopes to extend the reach of the Clean Slate Bill even further, though. As critics of expungement law point out and Harris acknowledges, expungement is sometimes futile in an era when most employers and landlords rely on private companies to conduct their background checks online. Those companies don’t always update their records frequently, meaning that an arrest or charge that the state has sealed could easily still be out there for public consumption. “We are looking at how we fix that so we’re using the most accurate records when people are going for employment,” Harris says. One way legislation could do that, he notes, is to force employers to use the state’s own background check system rather than going through a private company. Though this issue isn’t addressed in the Clean Slate Bill, Harris hopes to add that mandate to the House version via amendment or perhaps introduce it in future legislation. Harris is optimistic the Pennsylvania state legislature will pass the Clean Slate Bill in its current session. He notes that more than half of the Senate has already signed on as co-sponsors, while 20 percent of the House has signed onto the companion bill. A poll released last week further indicates that 81 percent of Pennsylvanians support the Clean Slate Bill. There are some limitations to expungement law that the Clean Slate Bill can’t change. 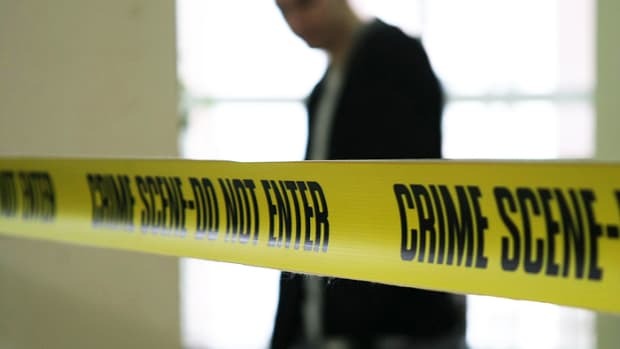 One is the idea that people have a right to know about a person’s criminal history. There’s a reasonable argument to be made that society should probably be able to identify people who are recidivists for violent crimes, Murray says. That’s why politically impossible charges like homicide and child abuse are not subject to expungement laws anywhere. It’s hard to argue against that. Google creates another impossible limitation. Even if employers use up-to-date records, there’s still a chance they could come across an old arrest or conviction in online newspaper records. The European Union is exploring this tension with a right-to-be-forgotten ruling that allows people to ask Google to remove misrepresentative material — a ruling the First Amendment prevents in the United States. But Gullen notes that most of the misdemeanors and arrests eligible for expungement are not exactly high-profile enough to hit the crime section, anyway. But the automatic sealing element of the Clean Slate Bill does address one mundane reason why expungement doesn’t always make a different in criminal justice reform: money. As the Marshall Project reported last year, a handful of states charge more than $400 just to file a petition to seal or expunge a criminal record. (Most states charge $150 or less to cover court fees.) These fees effectively put expungement out of reach for a great many of the people who, as a result of their convictions, struggle to find employment. For now, in states where expungement and sealing is not automatic, legal clinics are designed to mitigate that barrier. All around the perimeter of the gymnasium, young lawyers hunch over laptops alongside their clients. Some stare intently at the paperwork on their computer screens in silence, while others chat animatedly. Toward the back of the room, a young white brunette gestures into her laptop and beams at her client, a young black man, who returns her smile. Organizations like the People’s Emergency Center, the Barristers’ Association, Penn Law, and Community Legal Services have held local expungement clinics for years. Alongside the flurry of state reforms in recent years, legal aid for expungement has also become increasingly available alongside the emergence of websites that help people file their own petitions. Last year’s passage of Pennsylvania’s expungement law itself inspired more clinics, like the one at Vare Rec Center. CLS staff attorney Jamie Gullen calls November’s free city-wide clinics “monumental” in scope. Organized as a community service project for the Philadelphia Bar Association’s Young Lawyers Division, the event drew support from the mayor and district attorney, as well as the president judge of the Court of Common Pleas. That’s not surprising given the tremendous bipartisan support for expungement, Gullen says. It helps people get jobs, go to school, and stop using public benefits. “There’s no area of public life that’s not affected by it,” she says. Having that support from high levels of the local government was crucial to the affordability of these clinics. Meghan Claiborne — who organized the city-wide event for the bar association alongside another young attorney John Coyle — says the courts agreed to waive the $132 filing fee for petitioners who qualified for an in forma pauperis exemption. The decision removed one of the major financial barriers to expungement under the new law. And young members of the bar association were willing to provide their services for free as well; about 175 of them volunteered to help with the clinics. Alfano, chancellor of the Philadelphia Bar Association, describes it as “extraordinary.” These lawyers worked for weeks ahead of time, screening 1,853 petitions so that they’d be able to go over them quickly with applicants in person. “This is something we’re uniquely suited to do as lawyers,” Alfano says. But there are limits to what an expungement clinic can achieve. Alfano notes that some of the petitioners only partially qualified for expungement; some of the walk-ins didn’t qualify at all. In those cases, he says, the lawyers were at least able to provide advice on seeking a pardon. Some of the lawyers even helped petitioners fill out that paperwork, too. And there were even more left behind; appointments filled up weeks before the November event. “There’s a never-ending need for expungement help,” Gullen says. Faith Bartley bounded through the lobby of the Vare Recreation Center handing out booklets to those waiting in line. 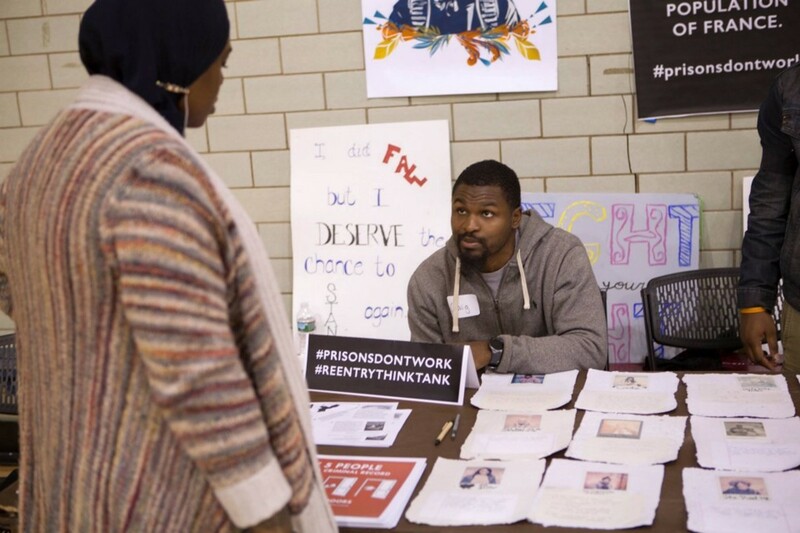 “People’s Bill of Rights for Returning Citizens,” read their covers; inside, the booklets ask readers what “people with criminal records need in order thrive.” As lead fellow member of the People’s Paper Co-Op, which supports men and women with criminal records, Bartley came to represent the Philadelphia Reentry Think Tank. But she knows the price of a criminal record — and how expungement can help. More than 20 years ago, Bartley was looking for a quick and easy way out of her North Philadelphia neighborhood. She started out using drugs; before too long she was selling them, thinking the quick money would allow her to move to a different neighborhood. Instead, she was unwittingly building a criminal record beginning with her first case in 1991. For 15 years, Bartley was in and out of the city jail and also served several months in a prison upstate. Bartley finally turned her life around in September 2009. Thirty days clean from cocaine, she came off the streets to live with her terminally ill mother. But background checks disqualified her from most jobs, and she couldn’t afford to consult a lawyer about expungement. She finally found an under-the-table job as a waitress making $6 an hour. Five years later, artist friends told Bartley about an expungement clinic at the People’s Emergency Center in Philadelphia. She went, and a lawyer knocked 12 packages of charges off her record without any legal fees. “It motivated me, ignited a fire in me,” she says. 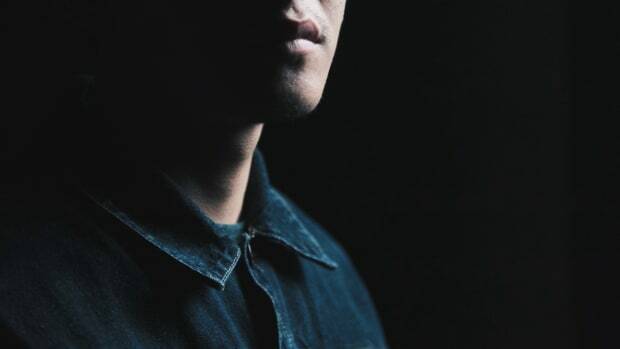 “I was getting discouraged. Discouragement, for me personally, creates recidivism.” Expunging her record allowed Bartley to feel confidence in her ability to improve her life, and she did. And there’s some preliminary evidence it can be applied more broadly. Gullen notes that a study out of Michigan found that criminal record sealing “is associated with a significant increase in employment and average wages.” Despite its limitations, expungement is a tool for criminal justice reform. What’s Propelling Second-Chance Legislation Across America? From Indiana to Pennsylvania, second-chance legislation is increasingly becoming a viable option for some offenders. Inside the former prison-turned-museum and its new exhibit about the perils and inequities of mass incarceration in America. 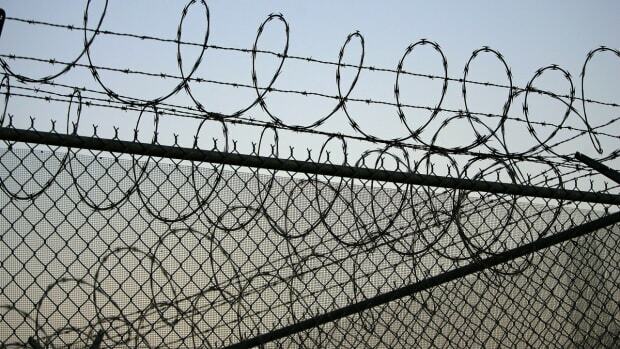 Are California’s Youth Offender Parole Hearings Working? A new study evaluates whether California’s new specialized parole hearings live up to the Supreme Court’s mandate to give juvenile lifers a real shot at release. 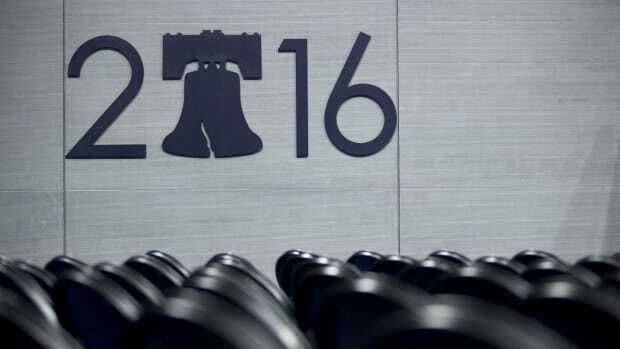 How local leaders are pushing for progress at the Democratic National Convention.